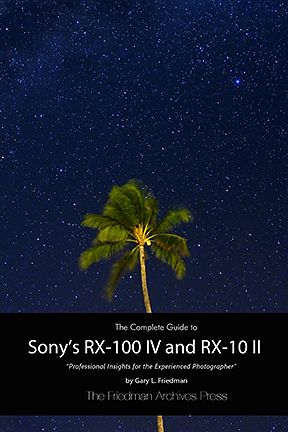 Sony RX-100 MK III Ebook. 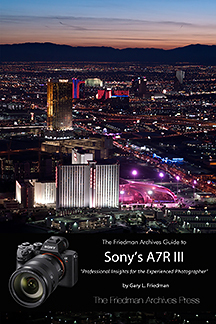 Instantly downloadable full-color .pdf, .mobi, and .epub files for USD $23.45! 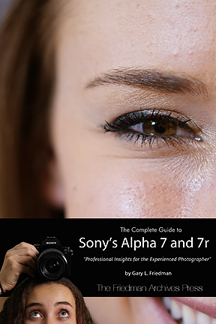 The Sony Alpha A7 and A7r ebook is here! 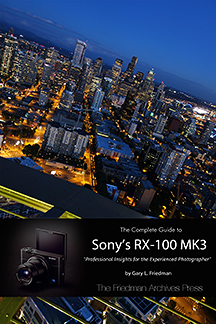 Sony RX-100 MK II Ebook! 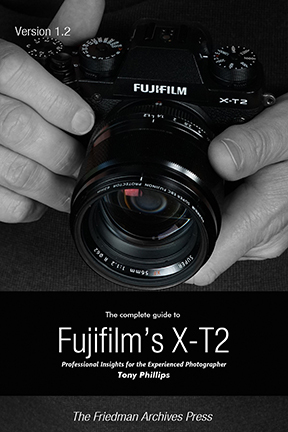 Instantly downloadable full-color .pdf, .mobi, and .epub files for USD $23.45! 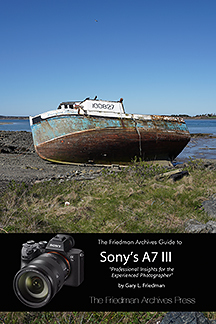 E-book on the Sony A58 is now available. 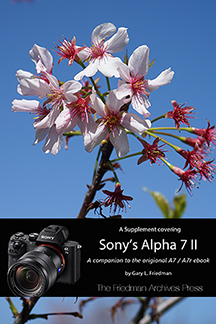 Instantly downloadable full-color .pdf, .mobi, and .epub files for USD $21.45! 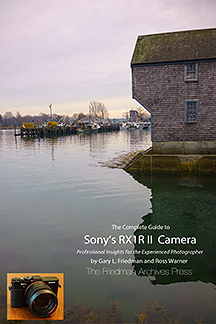 E-book on the Sony NEX 5R, 5T and NEX 6 is now available. 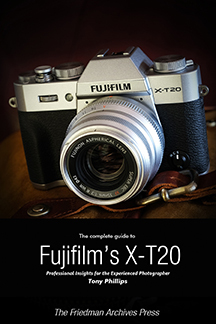 Instantly downloadable full-color .pdf, .mobi, and .epub files for USD $26.50! 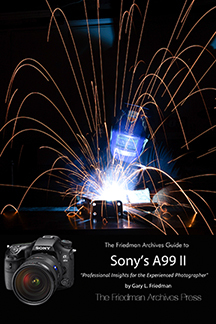 E-book on the Sony A99 is now available. 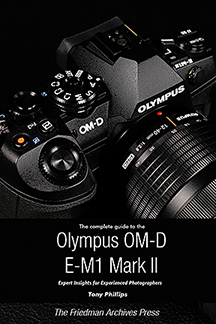 Instantly downloadable full-color .pdf, .mobi, and .epub files for USD $29.95! 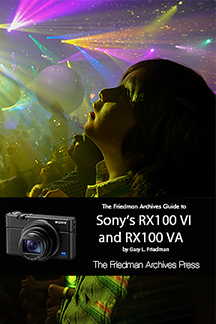 E-book on the Sony Cyber-shot RX-100 is now available. 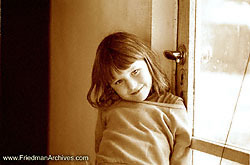 Instantly downloadable full-color .pdf and .mobi file for USD $21.45! 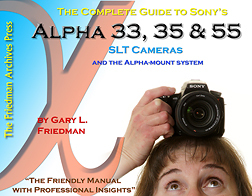 E-book on the Sony Alpha 37 and 57 SLT cameras is now available. 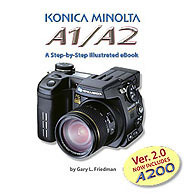 Instantly downloadable full-color .pdf and .mobi file for USD $22.98! 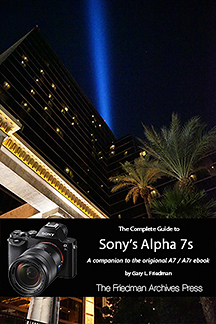 E-book on the Sony NEX-7 camera is now available. 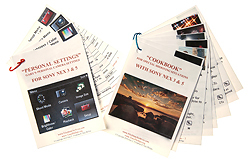 Instantly downloadable full-color .pdf and .mobi file for USD $26.45! 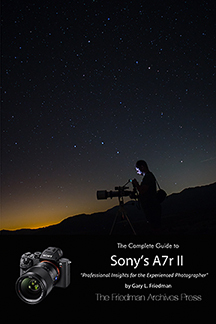 E-book on the Sony A65 and A77 SLT cameras is now available Instantly downloadable full-color .pdf and .mobi file for USD $26.45! 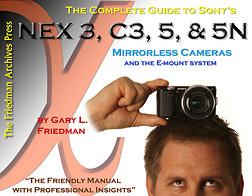 E-book on the Sony NEX 3, C3, 5, and 5N cameras is now available Instantly downloadable full-color .pdf file for USD $22.99! 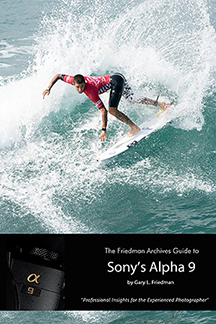 E-book on the Sony Alpha 33, 35, and Alpha 55 SLT cameras is now available Instantly downloadable full-color .pdf file for USD $26.45! 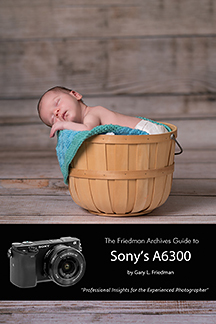 E-book on the Sony Alpha 850 and 900 digital cameras. 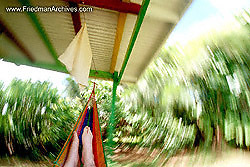 Instantly downloadable for USD $29.95! 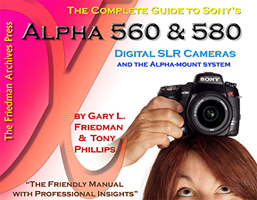 E-book on the Sony Alpha 560 and 580 DSLRs. 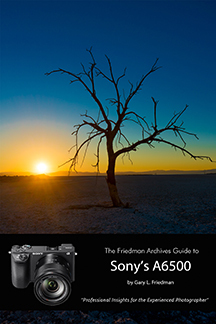 496 pages, instantly downloadable for USD $22.99! 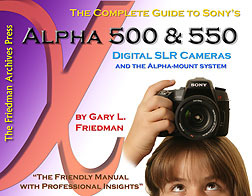 E-book on the Sony Alpha 500 and 550 digital cameras. 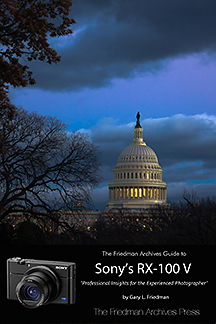 487+ pages, instantly downloadable for USD $19.99! 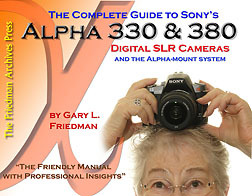 E-book on the Sony Alpha 330 and 380 digital camera now available! 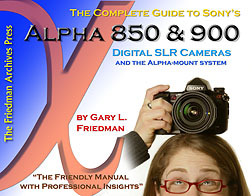 460+ pages, instantly downloadable for USD $19.98! 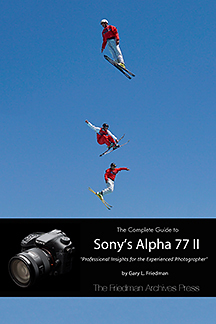 E-book on the Sony Alpha 700 digital camera now available! 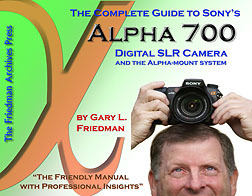 460+ pages, instantly downloadable for USD $24.95! 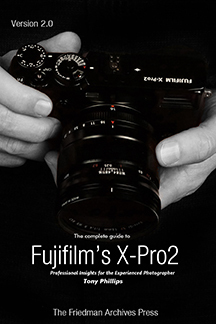 Includes updates for firmware Version 4. 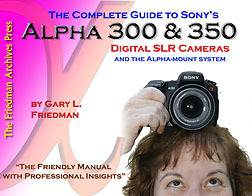 E-book on the Sony Alpha 300 and 350 digital cameras now available! 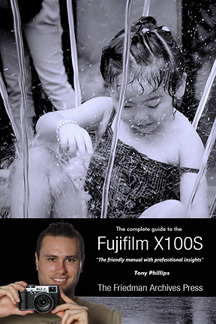 460+ pages, instantly downloadable for USD $19.98! 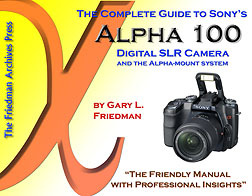 E-book on the Sony Alpha 100 DSLR camera. Downloadable version only USD $19.95! 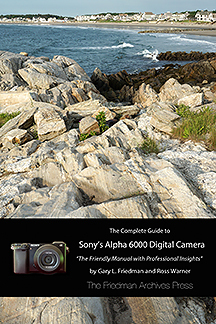 E-book on the Sony Alpha 200 digital camera now available! 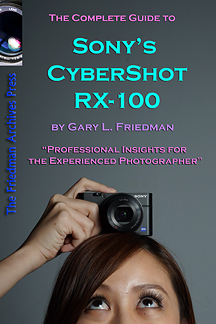 460+ pages, instantly downloadable for USD $19.92! 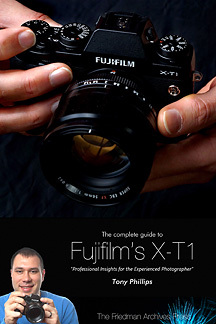 Flash for the Fujifilm X system - demystified. 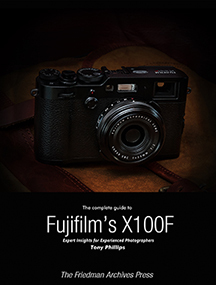 The definitive guide to the Fujifilm X100s camera - by enthusiasts, for enthusiasts! 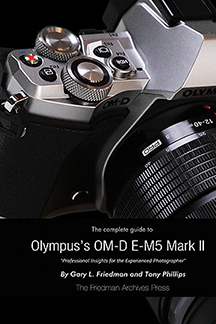 Olympus makes great cameras too. 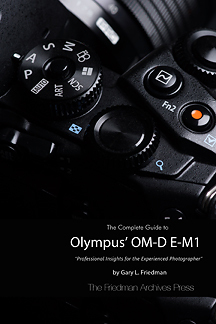 Here's one for their highly-acclaimed OM-D E-M1. Downloadable version only USD $19.95! 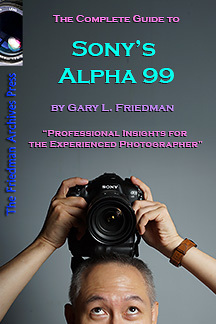 Available as an immediate .pdf download - only USD $19.95! 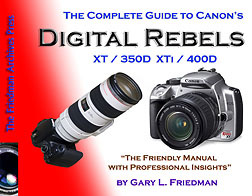 E-book on the Canon Digital Rebel XT and XTi DSLR cameras. Downloadable version only USD $24.95! 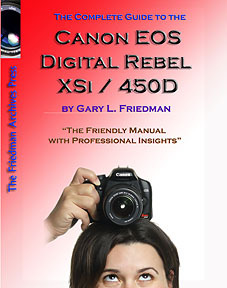 E-book on the Canon Digital Rebel Xsi. Downloadable version only USD $24.93! 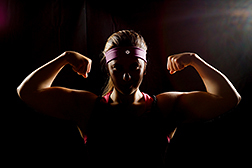 An intuitive, back-to-basics video course showing how to get "Wow!" 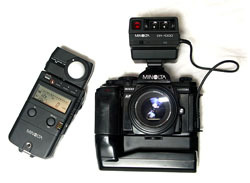 images with any camera. 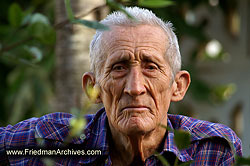 A shorter learning curve doesn't exist! 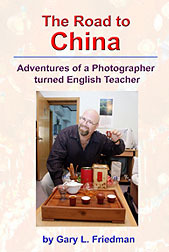 My English-teaching and entrepreneurial adventures in China in a hand-holdable, solar-powered edition. A well-illustrated travelogue during China's aggressive transition to capitalism. 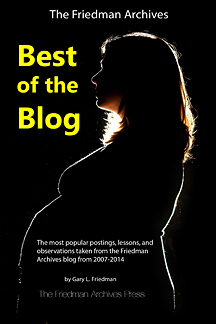 Available as a downloadable .pdf file, or as a hardcopy in either Color or B&W. 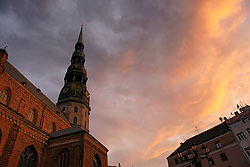 A potpourri of ideas and compositional rules to inspire your creativity. 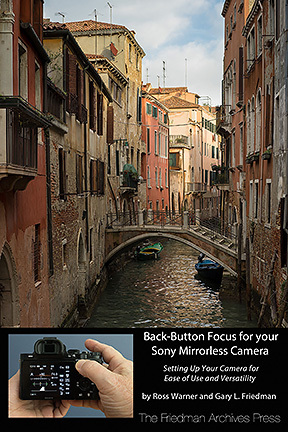 For users of any camera. 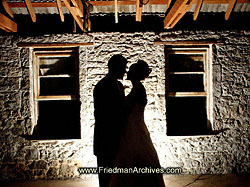 USD $5.95 as a downloadable .pdf file. 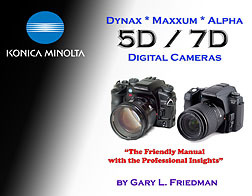 For owners of all Konica Minolta DSLRs and the Sony A100, A200, A300/350. 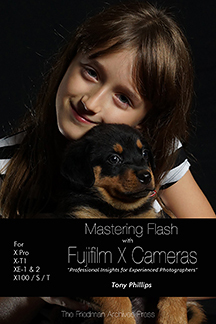 Includes what you need to know about 3rd party flashes, rescuing images with RAW, nullifying noise, the basics of proper exposure, combating "Lazy Eye", and much more... USD $9.95 as a full-color, instantly-downloadable .pdf file. 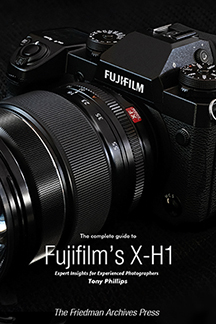 Provides easy-to-understand tutorials on the most requested technical topics: Color Calibration, ICC profiles, bit-depth and editing space, filters, High Dynamic Range (HDR) Imaging, Macro photography, bird and wildlife photography, photographing sports in low light, and archiving gigabytes of information. 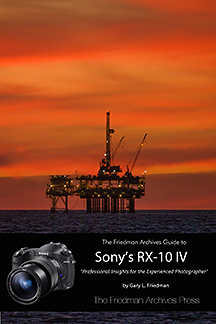 For owners of all Sony and KM DSLRs. 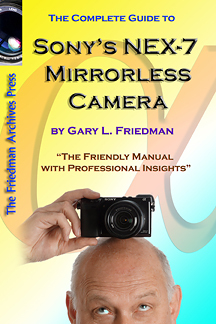 USD $15.95 as a full-color, instantly-downloadable .pdf file. 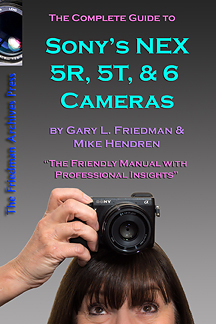 The most popular parts of Gary's ebook, formatted for you to print out, cut up, and keep in your camera bag. 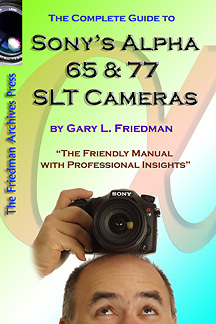 Cards include the section on Gary's Personal Camera settings, and Appendix A's "Cookbook" for Special Shooting Situations. 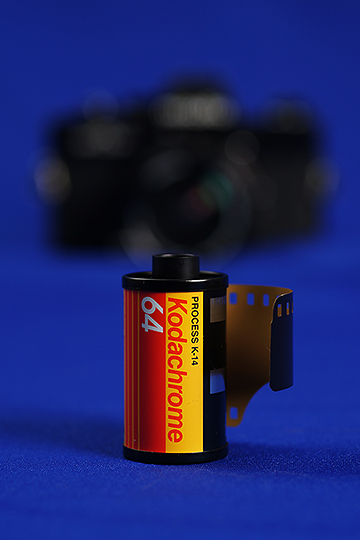 The .zip file contains .pdf files formatted for A4 and US Letter printers (plus a .pdf for printing instructions). All for just USD $3! 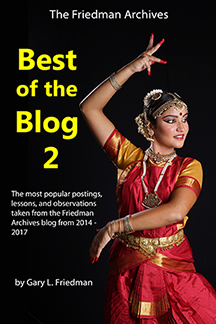 Compiled by Tony Phillips. 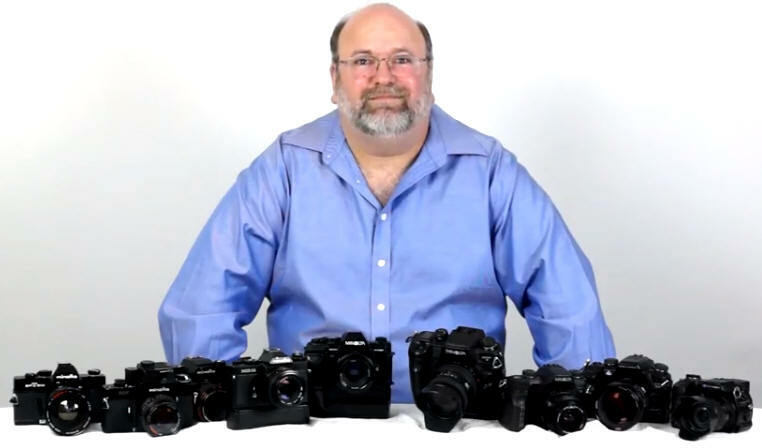 A 50-minute presentation introducing photographers to the basics of Sony's Wireless Flash and the impressive things you can do with just one flash (two and 3 flashes, too!) 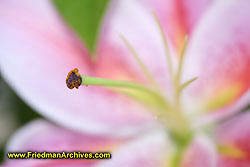 During this live lecture Gary produces the image to the left in under 10 minutes. Available as a downloadable video file. 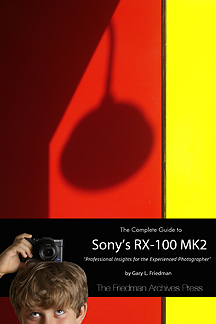 An intuitive guide to the single most powerful way to improve your photography! 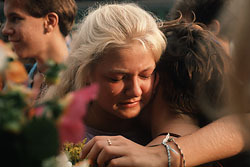 Peace Child in Latvia (a multi-media documentary about a historic cultural exchange between Soviet and American high-school students, circa 1988). 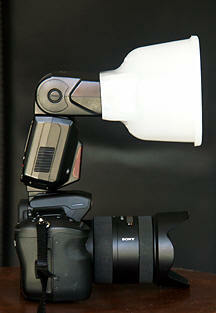 Which is better - a professional light diffuser, or a simple piece of paper?